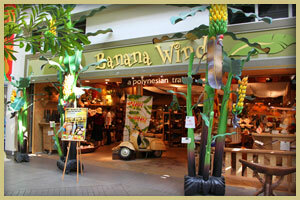 Banana Wind gift store in the Lahaina Cannery Mall is truly unique. Located at 1221 Honoapiilani Highway, Lahaina, it’s definitely not your usual, run-of-the-mill tourist souvenir shop! Inside it’s like being transported into a private tropical paradise. The store is f illed with unique items from all around the world. Nina, the owner, and her family travel to all sorts of far-flung destinations and find the most interesting gift items to bring back to the store. They have home accent pieces such as baskets, artwork, candles, incense, jewelry, sea shells, wood carvings, picture frames, and more. Everything in Banana Wind has it’s own story – where it came from, what it’s made of, and what makes it unique. 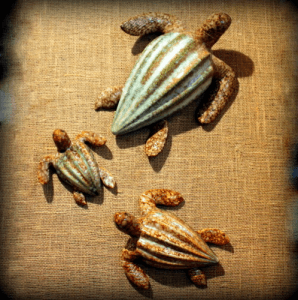 They have the largest sea shell collection in the State of Hawaii with many shapes and sizes to choose from. Their motto, “Living the life of the Treasure Hunter is in us all,” truly reflects the ambiance of this very unusual store! Check them out online at BananaWindHawaii.com or call them 808-661-1600.